Romeo Boyd is a Hollywood star whose fame is fading, and he heads to his vacation home to drown his worries in alcohol. His love for very loud rock music immediately causes problems for his neighbour, Juliet Soma, a novelist seeking her muse to ward off a serious case of writer’s block. When Juliet meets Romeo, he mistakes her for a stripper and things go downhill from there. An intense rivalry ensues, and when Juliet gets Romeo arrested all bets are off. When she then lands him in the hospital, in his most devious move, Romeo fakes amnesia and “mistakes” Juliet for his wife. A guilt-ridden Juliet is convinced by Romeo’s actor friend “doctor” to go along with whatever Romeo says, and Juliet soon becomes Romeo’s slave. Living together might mean killing each other, but instead the unthinkable happens: they start falling for each other! Will Juliet discover Romeo’s deception? Will she forgive him, or up the ante? Could there ever be a happily ever after for two stubborn fools? Can they put the past behind them? Can they trust each other’s motives when they’ve done nothing but cause each other grief? 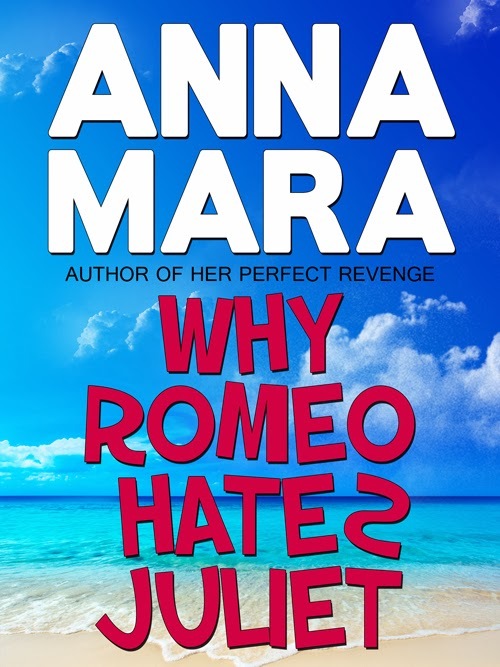 Why Romeo hates Juliet by Anna Mara is a very refreshing read (that has absolutely nothing to do with William Shakespeare’s Romeo and Juliet; this is by no means a modernisation of the story). The characters are colourful and engaging, pulling you into their war from the get go. A happy ending is never a certainty, and Mara keeps you guessing until the very end. What I especially like about this book is its deviation from a common pattern in romantic fiction: Where the guy is usually the one who messes up badly and must fight to convince the girl to give him another chance, Why Romeo hates Juliet flips it 180. The girl is the one who messes up, and she’s the one who must atone for her mistake – a nice departure from the expected.